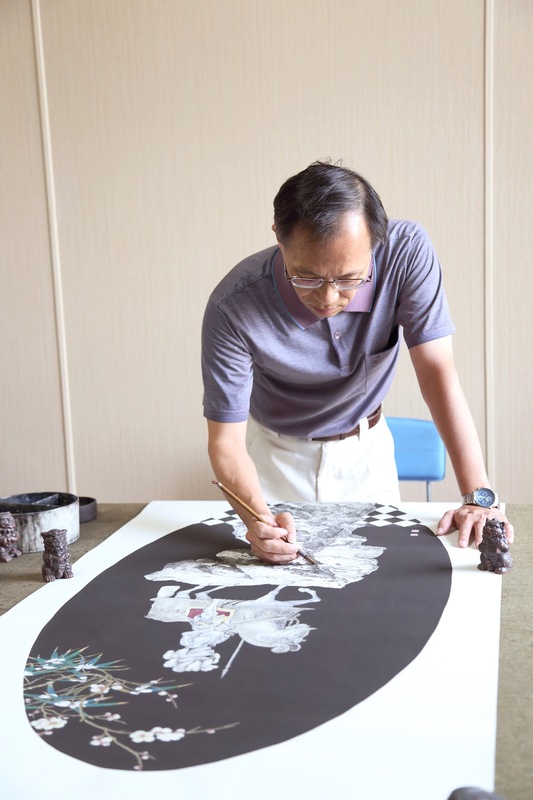 Chen Chien-Fa concentrates on delivering the humanistic spirit and philosophicalconnotation by the perception of traditional ink painting. Deliberately, Chen amalgamates the ancient Chinese media and modern thinking as a cynical metaphor to reflect the chaos of consumer society and mass culture. By using juxtaposition to show the montage made from globalization images and symbol of historical Chinese painting, Chen presents the cultural attributes of the post-modern society, opens a new atmosphere in Ink. 2015Exhibit The Thousand Blossoms SpringNew YorkU.S.A.